In the past, people considered buying a house a major life milestone on the way to truly becoming an “adult”. Today, due to a fluctuating economy and unexpected life changes, owning a home has taken a backseat to renting. 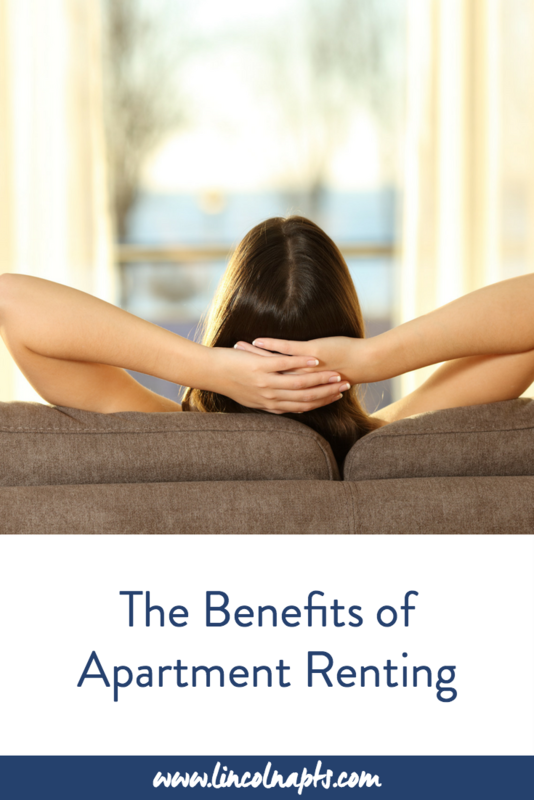 While there are tremendous financial benefits that come with renting, there are many other perks to living in an apartment. If you’re torn between renting and buying, here are a few reasons why renting may be the better fit for your current lifestyle. Save Money: Renting an apartment allows you to avoid a hefty down payment and getting hit with an unexpected property tax bill later on. While all apartments require some sort of deposit, it is not nearly as lofty as an initial down payment that could add up to thousands of dollars. In addition to a large payment before moving in, different real estate taxes will be due at certain points throughout the year and can become a significant financial burden for homeowners. Flexibility: With the unexpected opportunities and situations that pop up in life, rental living offers the flexibility that young people often desire. Whether it’s a career-related move or the need for a bigger place, you have more freedom to move around when renting than you do when you’re tied to a house. It can be difficult to break free from a house due to the costly fees that come with buying and selling a home. Amenities: Apartment living also allows you to have access to amenities that would otherwise be a huge expense. Fitness centers, in-ground pools, and a pet-washing stations are available at many apartment communities around the country. If a homeowner wanted to match these features at their house, they would end up paying thousands of dollars in installation and maintenance. Maintenance: When renting an apartment, you do not have to worry about maintenance fees or repair bills. The property management is responsible for these repairs and costs. Homeowners are responsible for their own repair and renovation costs, which could quickly add up to more than they anticipated or budgeted for. Lower Insurance Rates: Even if you’re just living in an apartment for a short amount of time, renter’s insurance is an inexpensive investment to protect yourself and your belongings. Compared to homeowners insurance, renters insurance costs less and covers a wide variety of situations. According to Investopedia, the average cost for renter’s insurance is $12 per month, while homeowner policies can range between $25 to $80 per month. The choice to buy or rent your home is a personal one and it’s important to do your research before deciding on where to settle down. Looking for more information about renting? Contact us today!